This blog posts excerpts content from the BHS Music Educator Guide and Songbook. 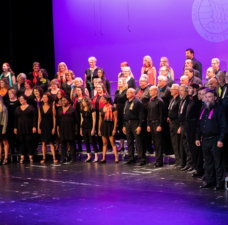 It is intended to address the male and female changing voice, but has a broader application when considering mixed gendered barbershop singing. Note the subscript 8 under the treble clef to indicate that it sounds an octave lower than written. This is traditional TTBB notation. As the harmonies are often close, clefs matter. Also note that the stem directions correspond to voice part: tenor and baritone stems are up, bass and lead stems are down. Note the superscript 8 over the bass clef to indicate that it sounds an octave higher than written. This is the traditional clef for female bass voices. Female barbershop bass and baritone likewise use the bass clef. 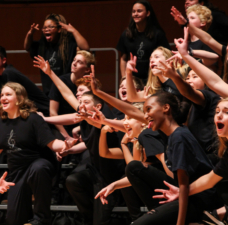 Adolescents can find great joy in singing barbershop harmony. The present guide uses a reduction of the research for changing male voices (Cooksey) and female voices (Gackle). Note that even changed voices are not fully mature and vocal health needs to be the primary concern. In all young singers, be aware of extraneous vocal tension. The adolescent unchanged male has an approximate comfortable singing range of A3 to F5. The entirety of the male barbershop tenor range is included in this range. Note the subscript 8 under the second treble clef. The adolescent changing male has an approximate comfortable singing range of F3 to A4 in Midvoice II and D3 to F4 in Midvoice IIa. 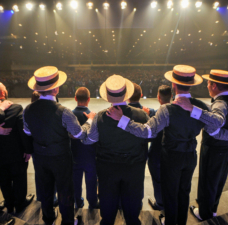 The male barbershop lead range will fit into Midvoice IIa stage range. Note the subscript 8 under the treble clef. n.b. music educators note that the male changing voice will have periods of restricted range, sometimes as little as a fifth. Be encouraging and help the young singer know that voice change is a brief occurrence. Let them sing the notes they have and ease social pressure to sing notes that are momentarily absent or are developing. 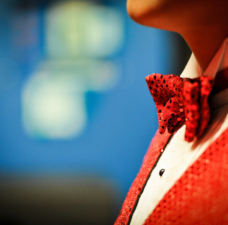 The adolescent changed male, including new baritone and emerging adult bass, has an approximate comfortable singing range B2 to D#4 and G2 to D4, respectively: Male barbershop baritone and bass will accommodate these voice parts, depending on the individual voice. Note the pitches shown in actual notation. 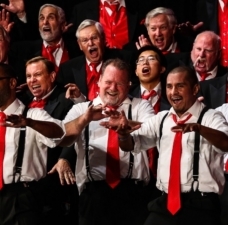 Changed male voices have several options in barbershop. The male barbershop baritone and lead ranges could be compared to singing in the same range as a choral tenor II (in SATB part writing). Choral bass I may be more comfortable singing male barbershop bass or baritone. Choral tenor I will likely be comfortable singing barbershop lead or barbershop tenor. The adolescent unchanged female has an approximate comfortable singing range of Bb3 to F5. Female barbershop tenor encompasses the entirety of the range of the unchanged female voice. Note the pitches shown in actual notation. The adolescent changing female has an approximate comfortable singing range of A3 to F#5. Female barbershop tenor, lead, and baritone encompasses the entirety of the range of the changing female voice. Note the superscript 8 over the bass clef to indicate that it sounds an octave higher than written. The changed female has an approximate comfortable singing range of A3 to A5. Female barbershop tenor, lead, and baritone encompasses the entirety of the range of the changed female voice. Note the superscript 8 over the bass clef to indicate that it sounds an octave higher than written. Changed female voices have several options in barbershop. The female barbershop tenor range could be compared to singing in the same range as a choral soprano I or II (in SATB part writing). The female barbershop baritone and lead range could be compared to singing in the same range as a choral alto I. Incorporating the comfortable speaking pitch of F#3, the changed female voice shares six pitches with female barbershop bass, and is analogous to singing alto II. Of interest to music educators is the treatment of female barbershop tenor. The range in which a female barbershop tenor sings is, classically speaking, an often powerful part of the singer’s range. Chord balancing, may require a soprano singing female barbershop tenor to sing with fewer decibels, but this should be done with care. Additionally, as female barbershop baritones and leads frequently sing through register passaggi, attention should be paid to how singers transition. Avoid excessive breathiness or increased subglottal pressure. 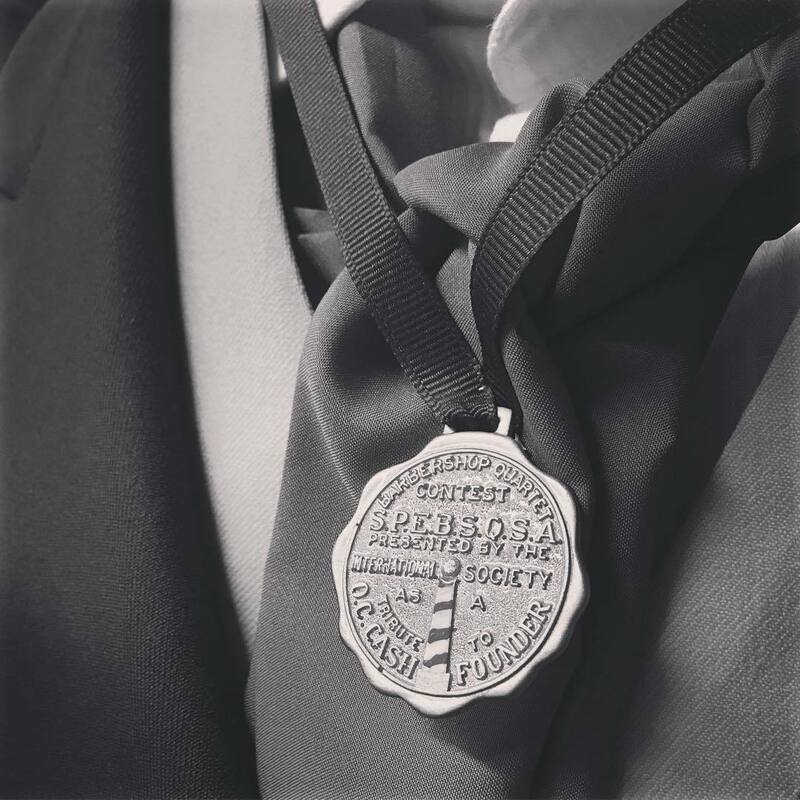 For more information about registers and voice ranges, please contact education@barbershop.org.